Richard Lampe, M.D., professor and chairman of the Department of Pediatrics, received the Sidney Kaliski Award of Merit. The award recognizes a member of the Texas Pediatric Society (TPS) who has served as an advocate for children and has made a substantial contribution to both the health and welfare of the children of Texas and to TPS. Lampe has been a TPS member since 1992. He served as TPS president from 2009-2010 and received the 2010 Outstanding Service Award from the Uniformed Services Section of the American Academy of Pediatrics. Theresa Byrd, Ph.D., associate dean and chair of the Department of Public Health, was selected as the 2017 American Public Health Association Public Health Education (APHA) and Health Promotion Distinguished Career Award recipient. Byrd received her award at the Public Health Education and Health Promotion Awards at the APHA 2017 annual meeting Nov. 7. Samuel D. Prien, Ph.D., professor in the TTUHSC Department of Obstetrics and Gynecology and director of Clinical Obstetrics and Gynecology Laboratories, received the American Society for Reproductive Medicine 2017 Star Award. The award was in recognition of the more than 10 successive years of presentations at the ASRM Annual Meeting/Scientific Congress. Prien, who has received the award seven times, has been part of more than 65 presentations at 27 out of the last 30 years. Yazan J. Alderazi, M.D., assistant professor in the Department of Neurology, was selected as 2016-2017 Physician Mentor of the Year. The School of Medicine Graduate Medical Education selection of Physician Mentor of the Year is made by house staff members (residents/fellows) from peer nominations. The award reflects their appreciation of Alderazi’s professionalism and leadership. The American Society of Interventional Pain Physicians (ASIPP), the largest interventional pain society in America, introduced the Racz Excellence Award for Outstanding Contribution and Performance. Gabor B. Racz, M.D., Chairman Emeritus of the Department of Anesthesiology and the first recipient of the Grover Murray Professorship, is recognized for his distinguished achievement in the treatment of pain nationally and internationally. The first recipient of the Racz Excellence Award was Miles Day, M.D., director of the TTUHSC pain-training program and Pain Clinic. Mohamad Al-Rahawan, M.D., received the UMC Health System Joon Park, M.D., Endowed Chair in Medical Excellence Nov 29. 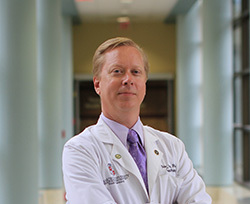 He joined the faculty at TTUHSC in 2014 and is an associate professor and Pediatric Hematology/Oncology division chief. Brian Irons, Pharm.D., a professor on the Lubbock campus who also heads the department’s ambulatory care division, received the American College of Clinical Pharmacy (ACCP) 2017 Ambulatory Care Practice and Research Network (PRN) Achievement Award. The Ambulatory Care PRN is composed of pharmacists from a diverse array of outpatient settings with a particular emphasis on the provision of primary care for chronic diseases. It was one of the first two PRNs established in 1992 and has grown to be one of the largest PRNs each year. 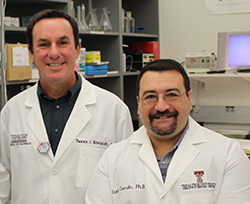 The National Institutes of Health (NIH) recently awarded a multi-PI (principal investigator) RO1 grant to a pair TTUHSC faculty scientists in Amarillo who will continue their investigation into the health effects of electronic cigarettes. 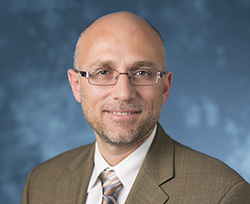 Luca Cucullo, Ph.D., and Thomas Abbruscato, Ph.D., will use the five-year, $1.9 million grant to continue a research project titled, “Testing tobacco smoke and e-cigarette toxicity at the blood-brain barrier.” The grant is a competitive renewal of an NIH-funded project Cucullo brought with him when he was hired as an assistant professor for the School of Pharmacy’s Department of Pharmaceutical Sciences in 2011. Abbruscato is the department chair; the NIH and the American Heart Association have also supported his research into the effects of nicotine and tobacco smoke on blood-brain barrier injuries and stroke outcomes. Margaret Burnett, MLIS, and Kate Serralde in the Preston Smith Library were awarded the National Network of the Libraries of Medicine (NN/LM) South Central Regional Technology Enhancement Award. A 3D resin printer will be purchased for the Lubbock campus and will help expand the existing 3D printing service. The resin printer produces highly accurate prints, which are ideal for the anatomy models of the human body as well as fine-detailed medical tools, devices and implants. Barbara Ballew, MIS, M.S. Ed., in the Preston Smith Library was awarded the National Network of the Libraries of Medicine (NN/LM) South Central Regional Assessment Award. The award will fund the assessment of health information needs of parents/caregivers of children with autism spectrum disorder. The Office of Interprofessional Education (IPE) awarded two student organizations first and second place prizes for their submissions to the annual Multimedia Contest. The contest was open to registered TTUHSC student organizations across all TTUHSC campuses with the goal of encouraging students to turn their IPE ideas into fun, creative and engaging multimedia programs. Phi Delta Chi (Beta Rho chapter on the Amarillo campus) won first place with a video that showcased the importance of teamwork and collaboration in health care. Second place went to the Physicians Assistant Class of 2018 on the Midland campus for their video of P.A. Slim Shady. Twenty-five nurses from around the Lubbock area were honored Oct. 3 at a banquet hosted by the South Plains Great 25 Nurses. Karen Esquibel, Ph.D., R.N., Bibha Gautam, Ph.D., R.N., Emily Merrill, Ph.D., FNP, Amy Moore, DNP, R.N., Ahnna Parker, MSN, RN-BC, and Linda McMurry, DNP, R.N., were chosen based on criteria including leadership qualities, serving as a role model, practicing compassionate caregiving, completing community service and making significant contributions. Pearl Merritt, Ed.D., M.S., regional dean for the School of Nursing at Abilene, was selected as one of the Women of Power and Purpose of Abilene by the Regional Victim Crisis Center. The award recognizes Abilene women of character who empowered others and made a positive impact on their community. 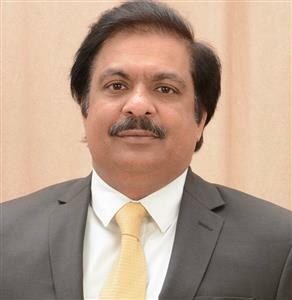 Sanjay K. Srivastava, Ph.D., professor and chair of the Department of Immunotherapeutics and Biotechnology in Abilene, received the 2017 Outstanding Achievement in Cancer Research Award from the Society of American Asian Scientists in Cancer Research in Washington D.C.
Sharmila Dissanaike, M.D., the Peter C. Canizaro Chair of the Department of Surgery, was appointed to the National Committee on Trauma by the Regents of the American College of Surgeons. The American College of Surgeons Committee on Trauma (ACS COT) has worked continuously since 1922 to improve the care of injured patients. The 83 member committee currently oversees the efforts of more than 3,500 Fellows of the ACS worldwide to develop and implement meaningful programs for trauma care that include education, advocacy, professional development, standards of care and assessment of outcomes. Scott W. Shurmur, M.D., was appointed as the School of Medicine Department of Internal Medicine interim chair. 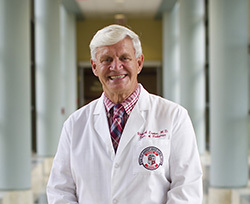 Shurmur currently is the Ralph Paone Endowed Chair for Medical Excellence in the Department of Internal Medicine, medical director for the Cardiovascular Center of Excellence and division chief of Cardiology. Charity Donaldson was named as the new executive associate for the Office of the Executive Vice President and Provost and Dean of the School of Medicine. 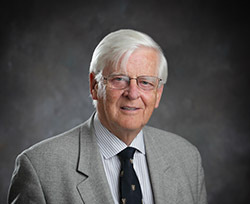 Donaldson previously served as the assistant to the chairman in the Department of Obstetrics and Gynecology. 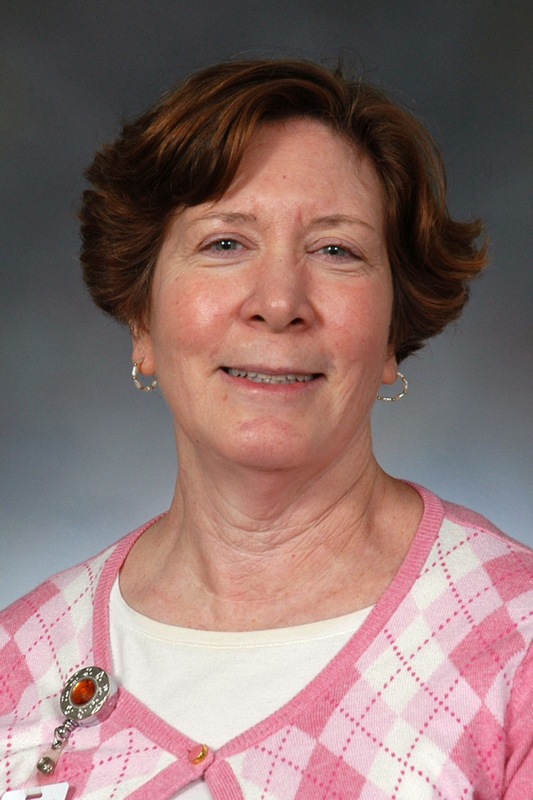 Ernestine Gregorcyk will retire at the end of December after 18 years as the executive associate. She has worked with previous deans Joel Kupersmith, M.D., Richard Homen, M.D., Bernhard Mittemeyer, M.D., and with Steven L. Berk, M.D. 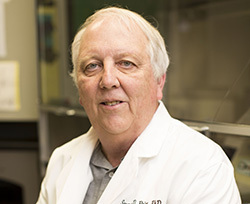 Ronald Hall, Pharm.D., an associate professor on the DFW campus, was named the clinical and translational research division head. He was also selected to serve as vice chair for research within the Department of Pharmacy Practice. In his new vice chair role, Hall will mentor, support and train department faculty and residents who are conducting research and scholarship. He will also provide input and strategic direction regarding research and scholarship endeavors within the department and will work with the chair, the department advisory council and the associate dean of sciences. Winter Smith, Pharm.D., also an associate professor on the DFW campus, was named vice chair for residency programs for the Department of Pharmacy Practice. She is replacing Steven Pass, Pharm.D., who is the new regional dean for the DFW campus. Smith, who joined TTUHSC and the School of Pharmacy in 2016, will provide strategic direction and oversight of the pharmacy practice residency programs. She previously served in a similar position at the University of Oklahoma College of Pharmacy. Steven Pass, Pharm.D., has been named regional dean for the Texas Tech University Health Sciences Center (TTUHSC) School of Pharmacy campus in Dallas. 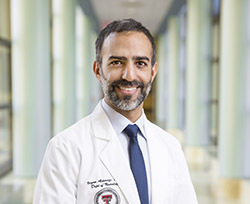 Pass, a professor for TTUHSC’s Department of Pharmacy Practice, has served as the School of Pharmacy’s vice chair for residency programs since 2011. Under his leadership, the school’s residency program has become one of the nation’s strongest, with 36 residents currently working in the school’s 16 affiliated post-graduate year 1 and post-graduate year 2 programs. In addition, 41 of 48 (85.4 percent) residency applicants from the School of Pharmacy Class of 2017 that graduated in May found residency slots, a success rate that is well above the 68.5 percent national average for such placement. Patricia Yoder-Wise, Ed.D., R.N., dean emerita and professor for the School of Nursing was elected president of the National League for Nursing Board of Directors. Yoder-Wise served as treasurer to the board for three years prior and was inducted into the league in 2007. She received the National League for Nursing’s award for Outstanding Leadership in Nursing in 2012. 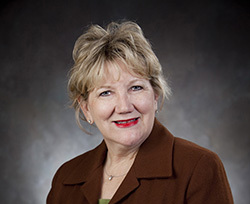 Alyce Aschraft, Ph.D., R.N., Roberts Endowed Practiceship in Nursing and associate dean for Research for the School of Nursing, was elected president of the Texas League for Nursing Board of Directors. Laura Thomas, Ph.D., R.N., associate professor for the School of Nursing, was elected director of education for the Texas League for Nursing Board of Directors. Kyle Johnson, MSN, R.N., assistant professor for the School of Nursing, was elected director of communications for the Texas League for Nursing Board of Directors. Amanda Veesart, R.N., MSN, assistant professor for the School of Nursing, was elected director for strategic planning for the Texas League for Nursing Board of Directors. Laura Opton, DHSc, R.N., associate professor for the School of Nursing, was elected director for membership for the Texas League for Nursing Board of Directors. LesLee Taylor, Ph.D., LAT, program director and associate professor for the School of Health Professions Master of Athletic Training program, was elected president of the Commission on Accreditation of Athletic Training Education.